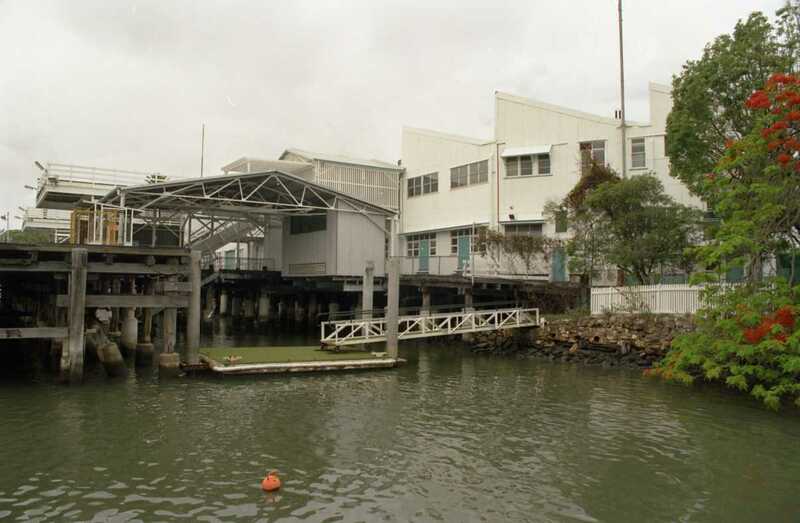 The Teneriffe area was a vital cog in the Australian-American naval forces during WWII. The former Capricorn Wharf was a US submarine base, and just south of that was the Australian Navy's base HMAS Moreton. The Capricorn Wharf returned to civilian duty as a commercial wharf following the war, and then was demolished as the Teneriffe precinct began its urban renewal. 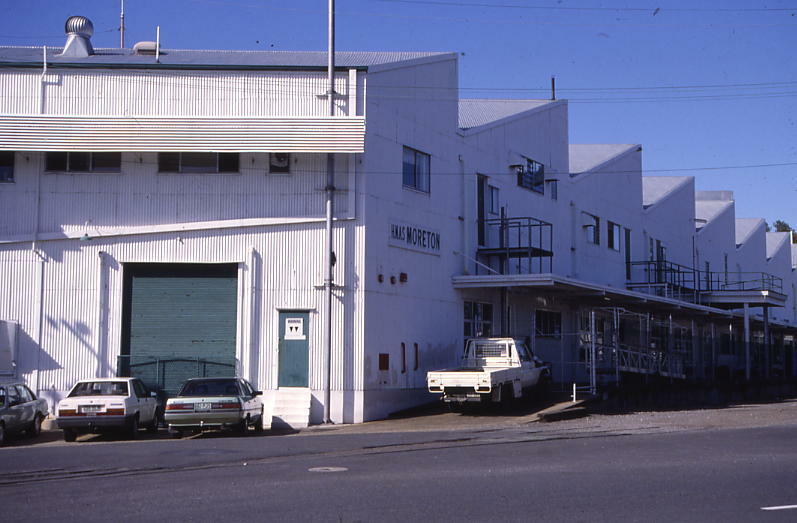 HMAS Moreton continued as a naval base through until it was decommissioned in 1994 and then demolished soon after. 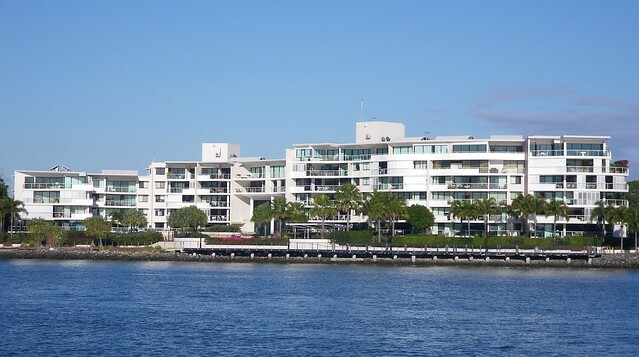 This allowed the construction of Freshwater Apartments (below) on the site. Here are a couple of photographs of HMAS Moreton shortly before it was demolished. 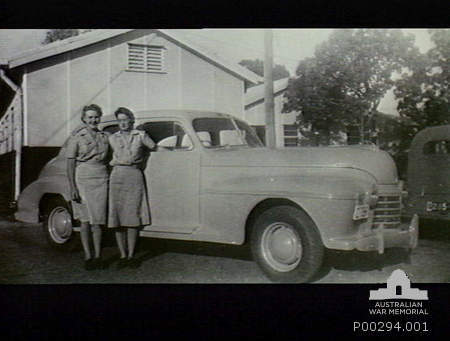 The next photo shows two WRANS standing next to a Navy Oldsmobile at the base during WWII. I assume that they would have driven navy brass around at the time. Next we have a photograph from the early 1970s of HMAS Yarra berthed at the HMAS Moreton wharf. The suburb of New Farm and the Story Bridge are visible behind the base. A memorial plaque remembering the WRANS who served at HMAS Moreton has been fixed to a stone at the former site. "I believe that plaque to NS" should have read "I believe that plaque to WRANS"